The project was procured by public tender as a DBO Contract with a long term operating contract of 20 years in duration. The design population equivalent for the plants ranges from 100 PE to 2,600 PE. The contract included for the installation of 15 new pumping stations and rising mains. 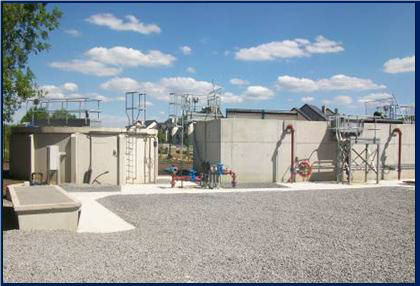 Interim management of existing WWTP’s until the new WWTP’s are operational is included in the contract. Ward & Burke designed, procured and installed all process plant for the works which includes inlet works consisting of automatic screens, screenings washing and compaction and grit removal system. Secondary treatment is affected by extended aeration in STM aeration tanks. Final settling tanks with half-bridge scrapers are provided. Phosphorous reduction is achieved by ferric dosing and simultaneous precipitation. Different discharge standards apply to the various works and are related to the assimilative capacity of the receiving waters.